Have you forgotten Windows administrator password or just lost Windows login password by accident and felt very daunting due to no password reset disk to offer help? It is definitely annoying if you can’t log in the Windows computer without a valid password. And the trying in several times nearly drives you crazy. At this moment, you have to resort to an effective and professional Windows password reset tool to crack your forgotten Windows 10/8.1/8/7 password. One of my friend complaint that he unfortunately forgot and lost his Windows 10 password so that he was unable to log on his computer. I have tried to help him with using quite a few of online tools to bypass the Windows password. Even though we successfully got access to this computer, the password recovery process was so long and complicated. Luckily, when I complain this annoying solution in a forum, one of the Internet buddies advised me to try on the perfect utility called “Windows Password Key” that can help you hack a forgotten password for Windows in an extremely quick way. Windows Password Key is a great choice if you want to break into your Windows PC without a correct login password. It will help you to get back any forgotten password with the simple process. Lost user password for your Windows 8.1 PC and there is no reset disk. Forgot Windows 8 administrator password and have no other admin accounts. With this well-designed tool in hand, you will never worry about the loss of password. What to do if you forget your Windows password? and how to reset password in Windows 7 without reset disk? are some of the widely searched terms over the internet, and that’s the main reason for us to bringing out this Windows password reset guide. 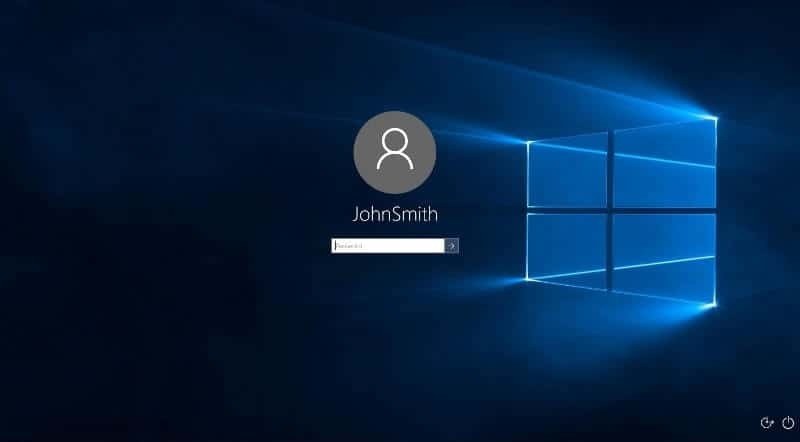 So, are you ready to know how to crack administrator password in Windows 10/8/7 operating system and how to reset if you forgot Windows 7 password? Here we go. How to recover or change Windows local & domain password or how to create a new administrator account with Windows Password Key Enterprise? 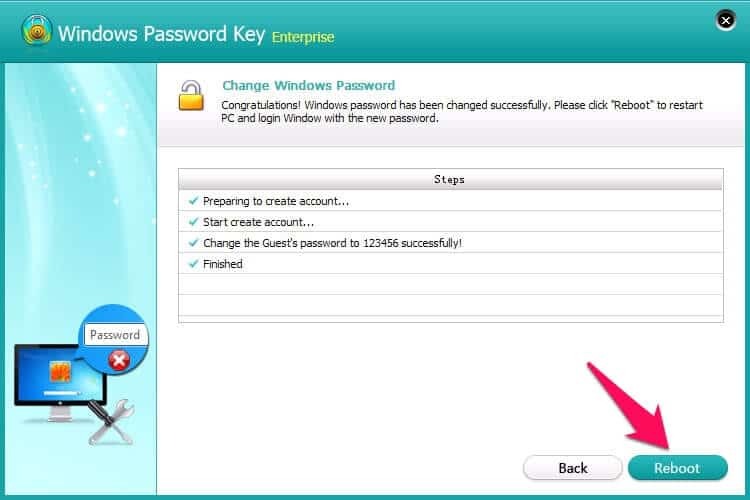 Below are the detailed tutorials to do a Windows password reset. Step (1): At first, download and install Windows Password Key Enterprise in another Windows computer instead of the locked one. Step (2): Launch the installed software and insert a blank USB flash drive into the PC where you install the cracker. Tick “USB Flash Drive:” option and then click on “Burn” (default ISO image or Advanced Recovery Wizard). Step (3): After burning the disk, go ahead to insert the burned disk into your locked Windows PC. Then reboot it and disable UEFI secure boot (if your Windows computer uses UEFI BIOS) and set USB flash drive as the first bootable device. Step (4): After your PC boots by the burned disk, you can see the interface of this cracker. Select the target Windows system user account you want to reset and click “Next“. Step (5): Click “Reboot” to crack your forgotten Windows 64-bit password. After the process, you’ll regain your access to your PC successfully. That’s all. After all the simple steps are complete, you will get access your locked computer as you hope. It is really a handy Windows password recovery tool if you can’t remember the password for both local account and Microsoft account. If you think it is good, please share it with your friends.